Hi Claire. Tell us about the research intern scheme you completed this summer. The internship through the Arthritis Research UK Centre for Sport, Exercise and Osteoarthritis provides the opportunity for newly graduated health clinicians and health scientists, and medical students (3rd year or later), interested in research in sport, exercise and osteoarthritis to obtain first-hand experiences of multi-disciplinary research environments. It is a prestigious national project with a limited number of placements available across the UK each year at partner universities. I was based in the Botnar Research Centre at the University of Oxford. I worked alongside some of the leading researchers and clinicians from around the world. There were two another interns working in the same centre. Why and how did you decide to get involved? An email was circulated about the scheme to my physiotherapy cohort just before Christmas. At the time I was studying a module called Research into Physiotherapy Practice (RiPP) and it involved writing a literature review into a topic of my choice, where I needed to review and critique the current literature. I really enjoyed being able to apply my clinical knowledge to the literature and challenge current practice. I was also starting to think about applying for jobs. I knew there was tough competition for the internship with a rigorous selection procedure, therefore I thought the application and interview process would be a beneficial experience. I was delighted when I was offered a place on the scheme as I was one of three final year physiotherapists from all over the UK to be selected. What did the scheme entail? The scheme is an eight week, full-time research placement, with the main aim to foster my appreciation of clinical research in evidence-based practice in early career development. Throughout the eight weeks I attended training days at other partner universities. At these institutions I learnt key skills needed in research such as: how to publish a paper; how to apply for ethical approval; the importance of Patient and Public Involvement (PPI) in research; statistical analysis and how to carry out research. At the end of eight weeks I presented my research at the Dissemination Day to all the other interns on the scheme, along with researchers involved with the scheme, which was a great success. I am now expected to have ongoing contact with the project team and provide support for the future interns by sharing my experiences and lessons learnt. This is a wonderful project which has opened up many potential clinical and research opportunities, therefore I am more than happy to do this. How has the scheme benefited you? The scheme will enhance my career progression and has introduced me to the networks in the area of clinical research. For example, I now know how to go about applying for funded master’s and PhD programmes. If anyone is thinking clinical research is for them, I would suggest applying for next year’s scheme. I have learnt a phenomenal amount in such a short time, and I now have a good basic clinical research network. What did a typical day look like on placement? It really depends on whether I was at the research centre or out on a site visit. A day in the research centre would involve carrying on with my research, having meetings with other members in my team, catching up with my mentor about my project and running over questions I had. On a Friday the whole department attended a morning meeting. Each week a different person presented their research to the department. I had the opportunity to do this in my final week. At site visits we would meet up with the other interns based at different universities on the scheme to discuss our research so far. We would then attend a mix of lectures and practical sessions involving the current research being carried out at the host institution. Tell us more about your course at Salford. I have just graduated with a First Class degree in Physiotherapy BSc (Hons), along with a group of friends I made on my first day. 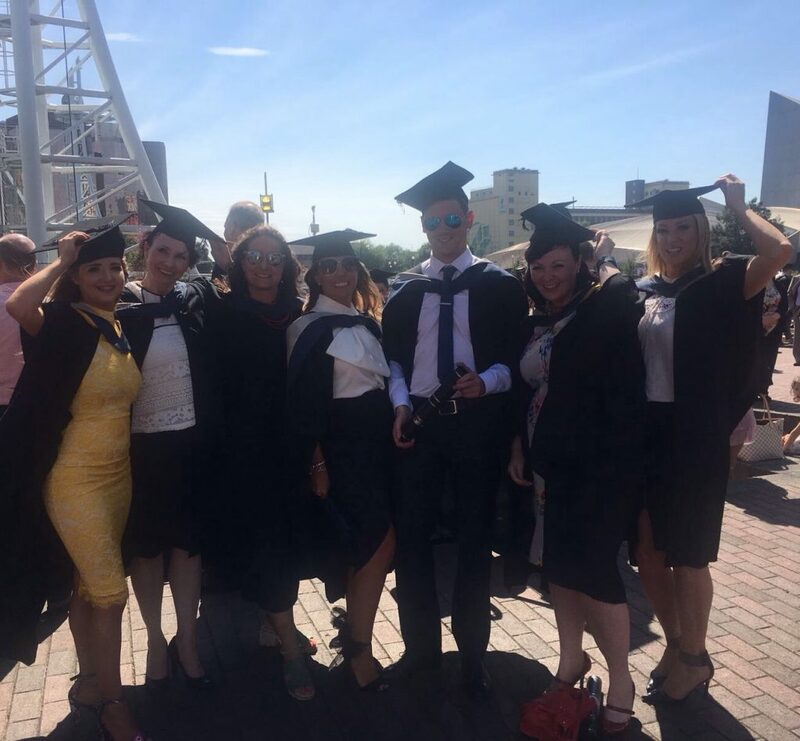 We have helped and supported each other throughout the highs and lows of completing a demanding, challenging but yet extremely rewarding degree programme. In addition physiotherapy at the University of Salford has given me so many opportunities to further enhance my CV enabling me to stand out from other graduates. For example, last year I spent the summer in Uganda working with disabled children. Thanks to Claire for sharing her placement experience with us. 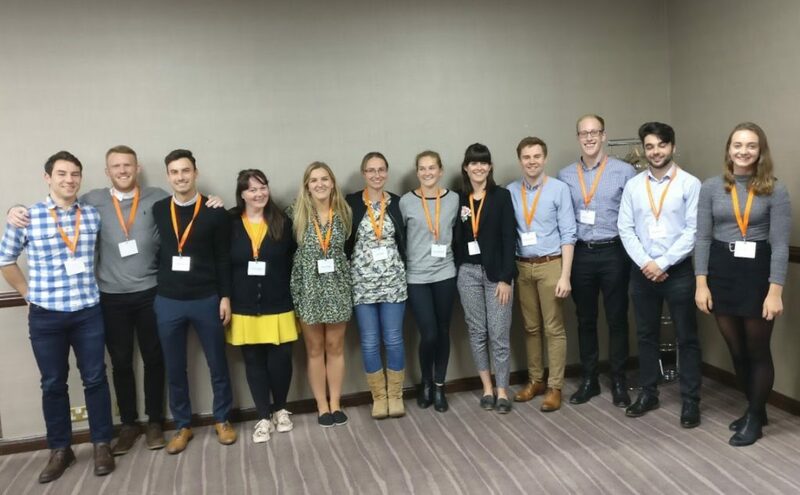 The scheme with the Arthritis Research UK Centre for Sport, Exercise and Osteoarthritis is due to open again in January – follow them on Twitter @MSKInterns for updates, and find out more about the centre and their mission here.